Cortoon Shamrocks is one of the most famous GAA clubs in the county. The club was founded in 1888, and is one of the oldest organisations in County Galway and to celebrate its 125th Anniversary on 22 April 2013, members of the club have written a detailed history of the club, entitled Half A Parish, A Complete Club. The MC on the night will be well known journalist and broadcaster Tom Gilmore. As part of the launch, there will be an exhibition of photographs and club memorabilia along with a selection of club jerseys, past and present. Among the many highlights from the book are personal contributions from well know players including, Derek Savage, Tommy Joe Gilmore, Peter Finnerty, Emer Flaherty, Edel Concannon, as well as Joe McDonagh. “The club to me epitomizes all the endearing characteristics of the quintessential rural GAA club. 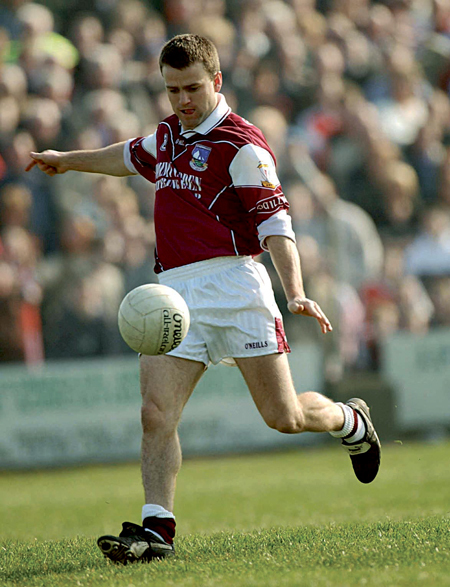 From the sense of belonging, the indomitable community spirit, and the pride and passion of the supporters” —Derek Savage, Cortoon player, All Ireland Football winner 1998 and 2001 and All Star. “I am very proud to have been associated with one of the oldest clubs in the Gaelic Athletic Association. I cherish the memories I have of a life-long association with my place of birth . . . I thank Cortoon Shamrocks for allowing me reclaim my birthright” — Joe McDonagh, Cortoon player, All Ireland Hurling winner 1980.